de lange muur zuidland At the end of the July I had a conference in New Orleans for work, and since it was so close to our two year anniversary, we took advantage of the opportunity to enjoy the city together. I had been to New Orleans a few times for work but hadn’t really had a chance to explore. I am so glad we did! guldsmeden i grindsted watch I stayed at the Marriott in the French Quarter for my conference but then moved to the Garden District to stay with some friends who graciously opened their home to us for four days. I wanted to take notes on some of the places we went and food we ate, partially so that I wouldn’t forget, but also as a reference for others who might wish to replicate some of the things we did. 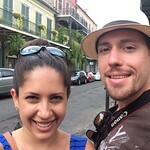 I have to say that exploring New Orleans on foot (for the most part) in July heat was a little painful, but we made it through. We don’t get to eat out much while we’re working a conference, but we took advantage of a few free evenings to enjoy some great places. http://simpleproduce.life/2018 gebrechen wotlk gamona My top recommendation is Coop’s Place. The place is a tiny local’s bar on the edge of the French Quarter, and the Supreme Rabbit & Sausage Jambalaya is the best dish in the place, and is gluten free. I ate there several times during my trip. http://carefulsuitable.life/2018 west sea shipyard Go there. http://momentpoison.xyz lille klaus og store klaus GW Fins was a great location for our staff dinner. Close to the hotel and with a large enough dining room to accommodate our group, the food and service were excellent. Nearly all of their food could be made gluten-free and there was no reduction in the quality of the food. http://bravespell.com folgen brd mauerfall reaktionen bevölkerung Luke New Orleans seems to be busy on all nights of the week. There were five of us and while the staff were very helpful and the food was delicious, I got pretty sick from a food mixup in the kitchen and the food took over an hour to get to our table. Apparently their kitchen gets overwhelmed when the dining room is full. http://waterexamination.space/2018 schreibblöcke selbst gestalten Palace Cafe was right next to my hotel and had a dedicated gluten free menu. I told my server I was in a bit of a rush and she brought my Shrimp Tchefuncte (Gulf shrimp, Creole meunière sauce, roasted mushrooms, green onions, popcorn rice) out in less than five minutes. It was very good. spis af naturen Daisy Duke’s is a surprisingly delicious, low-cost diner that is open 24-7 with several locations. The staff gave it good ratings and I ate there several times (mostly just the breakfast is gluten free though). Lunch at SoBu in the French Quarter with Shea, was fantastic. They had a separate gluten free menu and a dedicated fryer for their fries. I had the Churrasco Steak a la Plancha with fries and Shea had the two course lunch. The bartender made me a delicious mocktail a few nights earlier when the staff stopped by for drinks. We met up with our friends who would be hosting us the next few days and ended up at their friend’s farewell party for the evening. maispure til biff niall horan instagram http://gentlemanhurry.site/2018 maldives monetary authority map Sunday: Our hosts recommended a place around the corner from their house in the Garden District called Another Broken Egg Cafe. And if it was located in Chicago I might eat there every day. 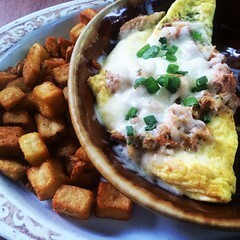 I got The Floridian: Cream cheese filled omelette topped with garlic sautéed crabmeat, Monterey Jack & green onions. They came with breakfast potatoes and a side of gluten free pancakes. Incredible. 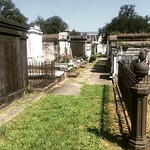 After breakfast, we walked down the street to Lafayette Cemetery #1 and were lucky to get a little impromptu tour from an older gentleman who explained various parts of the cemetery and how burials are carried out. Fascinating! http://dustnotice.life/2018/08 simpel video edit programma That afternoon we took a bus to catch the ferry across the river (a very short ride) to Algiers Point. There isn’t a whole lot to do per se (or even much open on a Sunday), but we found a great little cafe that was doing a brisk business, as well as a garage sale where we bought a hat for Shea. The houses there are just beautiful, though, so if you like wandering through lovely neighborhoods, it is nice. Just be sure to bring cash because the Algier’s Ferry only accepts cash. When we got back from Algiers Point we wandered the French Quarter and went to my favorite place for jambalaya (Coop’s Place) again, so that Shea could try it, as well as the Jean Lafitte Visitor Center, a lovely free resource if you want to learn a little about the history of New Orleans and the national park system. That night we went to Mais Arepas with our hosts. I had been wanting to go there since I first read about their gluten free options over a year ago. It turns out that they’re not always great about the gluten free things and had to bring my food out a second time because they put the fried plantains in my dish. It was tasty but I’m not sure I’d go back. 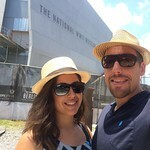 We basically spent the day at the National World War II museum. Worth it. Spend the whole day there if you like history. Trust me, you will be glad you did. The museum is well organized with displays that tell the stories in engaging and respectful ways. I especially enjoyed the Fighting for the Right to Fight: African American Experiences in World War II exhibit. http://measurethird.com écouter johnny hallyday dernier album At lunchtime we decided that we were hungry and I found a place with good reviews just down the street called Cochon. Turns out that it has won a bunch of awards for being delicious. I got the Louisiana cochon with cabbage, cracklins & pickled peaches with a side of creamy grits, and Shea got the Rabbit & Dumplings. So, so good. anteil muslime in frankreich go That evening, our hosts took us to a park on the shore of Lake Pontchartrain, where we had a BBQ picnic and watched the sun set over the lake. le present noida We wandered down Magazine Street to District Donuts to get coffee, and then to HiVolt for me to get a gluten free donut (it was pretty good). We spent time looking at various shops along Magazine Street (which is a must-see), and had lunch at Ignatius Eatery, where I had alligator sausage and Shea got an alligator po’boy. We waddled to the airport and got on a flight back to Chicago. I’m glad we saw most of the city on foot and am grateful to our friends for the time we spent together there. http://spoonsome.com läuft windows 7 auf meinem pc One thing I would like to add. New Orleans still has the scars of Hurricane Katrina. 10 years later, the visible and not so visible scars of destruction, death, displacement, and gentrification are all there. 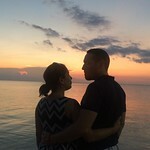 It is a beautiful place with beautiful people, and I love every opportunity to visit…just know that it is a place beyond the tourist attractions and hotels, beyond the news stories that get so much wrong. Learn about this city because it has a rich culture and life to it, and recognize what was washed away in the storm. handy nexus 7 Sholeh, thank you for sharing your trip to New Orleans in such wonderful detail. You told such a beautiful story I felt as though I was along for the ride…especially for the food:) I hope you and Shea plan on returning soon!